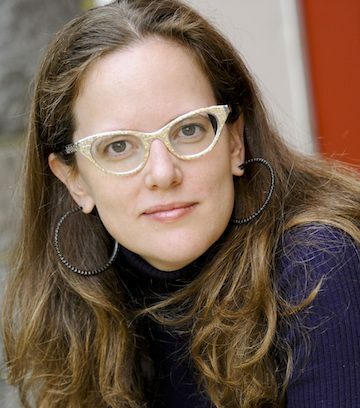 Lauren Winner writes and lectures widely on Christian practice, the history of Christianity in America, and Jewish-Christian relations. Former book editor for Beliefnet, she has appeared on PBS’s Religion & Ethics Newsweekly and has written for The New York Times Book Review, The Washington Post Book World, Publishers Weekly, and Christianity Today. Her books include Girl Meets God, Mudhouse Sabbath, a study of household religious practice in 18th-century Virginia, A Cheerful and Comfortable Faith, Still: Notes on a Mid-Faith Crisis, and, Wearing God a book on overlooked biblical tropes for God. Winner earned her B.A. from Columbia University, M.Phil. from Clare College, Cambridge, M.Div. from Duke Divinity School, and Ph.D. from Columbia University. Her research has been supported by numerous institutions, including Monticello, the Museum of Early Southern Decorative Arts, the Center for the Study of Religion at Princeton University, and the Institute of Sacred Music at Yale University. She has appeared on PBS’s Religion & Ethics Newsweekly and has served as a commentator on NPR’s All Things Considered. She has written for The New York Times Book Review, The Washington Post Book World, Publishers Weekly, Books and Culture, and Christianity Today, and her essays have been included in several volumes of The Best Christian Writing. Winner, an Episcopal priest, is vicar of St. Paul’s Episcopal Church in Louisburg, N.C.